When someone does something unethical or even criminal to others, there is a natural tendency to blame the character of that individual and to take comfort in the view that he must just be a “bad apple”. However this would ignore that human behavior is also influenced by powerful environmental/contextual forces. It the complex interaction among all those factors that generate specific human behaviors. Consider the following scenario to illustrate my point: What if a person in a position of authority ordered you to do something that your moral conscience tells you is bad, like for example to deliver a deadly 400-volt electrical shock to another person. Would you follow this order? I guess that asked in that manner, practically everybody would answer this question with an resounding NO. However Stanley Milgram, a Yale University psychologist, conducted in 1961 a series of experiments that delivered shocking results. During the experiment, a large majority (65 %) of ordinary people ended up torturing other people with what they were believing to be deadly electrical shocks just because an authority, a scientist in a laboratory they had JUST met, told them to do so. While most participants were clearly conflicted with the experiment, they still obeyed to the orders given by the scientist. 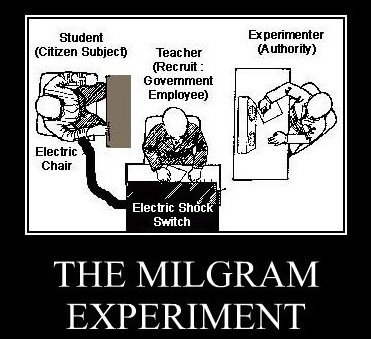 The Milgram experiment demonstrated that most people, whatever their backgrounds, will quite naturally submit to authority and the problem is that even when “they are asked to carry out actions incompatible with fundamental standards of morality, relatively few people have the resources needed to resist the pressures from authority and to be able to say No” (Milgram). This experiment provided a powerful and disturbing insight into the power of authority and the role of obedience in shaping people’s behavior in human societies that may help understand why normal people can end up committing crimes under the pressure of authority figures. Obeyed and took the blame for themselves. Another smaller group of participants felt very bad about what they had done and took full responsibility for their actions and being very harsh on themselves. Rebelled. Finally, the smallest group of participants, immediately questioned the authority of the experimenter and grounded their decision to refuse to participate in the experiment a greater ethical imperative. The results of the Milgram experiment clearly show that different factors are play in defining human behavior. However, it highlighted the importance of contextual factors such as submission to authority. Indeed those who challenged authority were in the minority. This characteristic of human behavior under pressure submitting quite naturally to authority is present in any kind of organizations. 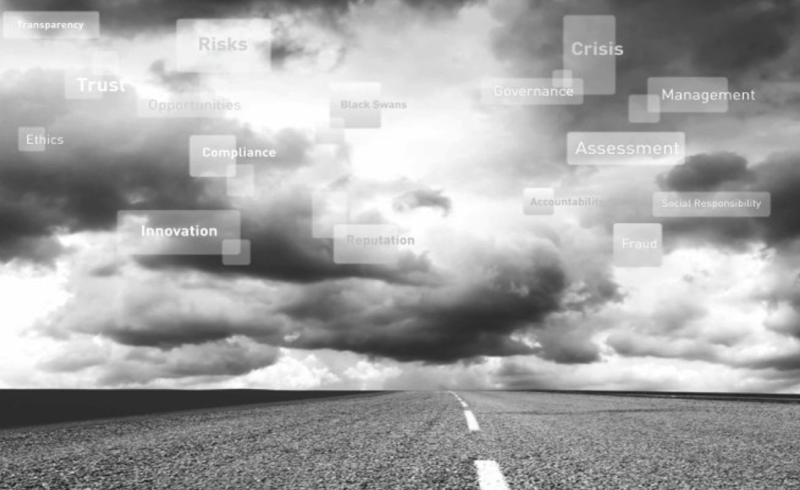 During all my years investigating fraud cases in many different kinds of organizations, I have often observed how many ordinary people have felt compelled to engage into criminal activities due to submission to the wrong authority figures. It is something that every leader and organization should keep in mind.